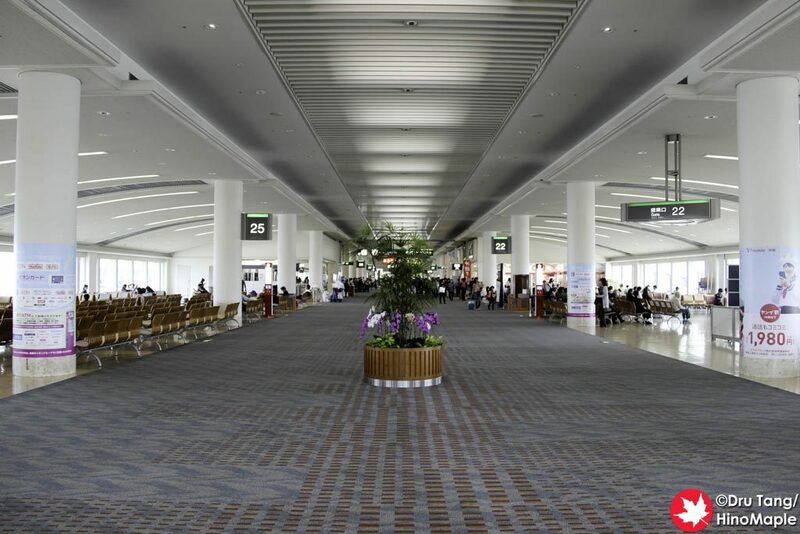 The main airport in Okinawa is Naha Airport. It is a surprisingly busy airport that reminded me a lot of New Chitose Airport serving Sapporo in Hokkaido. 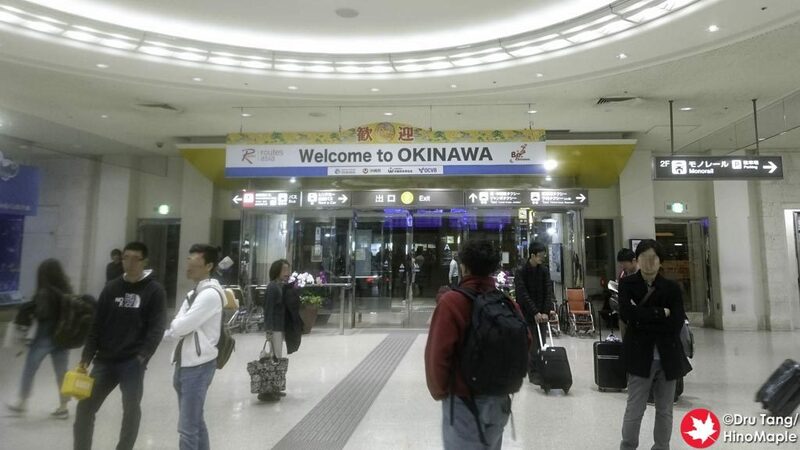 Okinawa is basically a southern version of Hokkaido when it comes to services. The airport is a flurry of activity and it can be difficult to do things as the airport is a little cramped compared to other airports. The domestic terminal is split into 2 sections, the JAL and ANA sides. 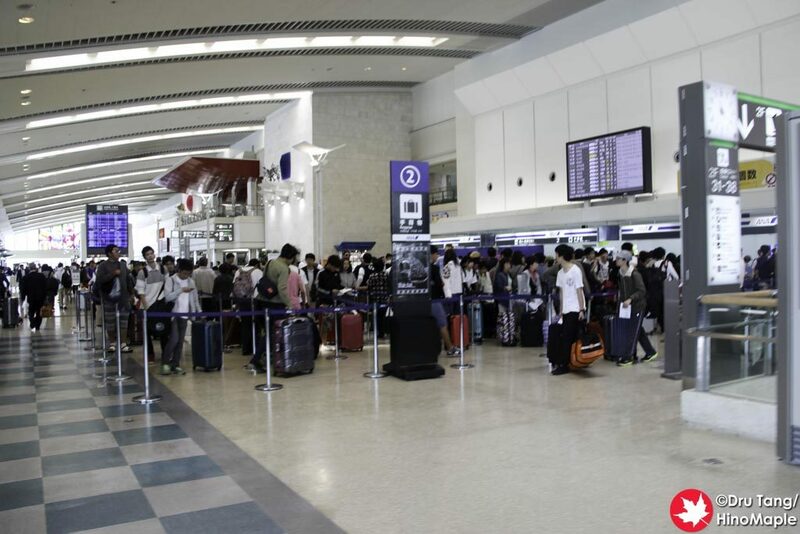 This is a fairly typical configuration of all airports in Japan and Naha Airport is no different. The southern side is for JAL and Jetstar while the northern side is for ANA, Solaseed, and Skymark. If you are departing around noon, be sure to be pretty early as that seems to be the peak time and it was a madhouse when I arrived. 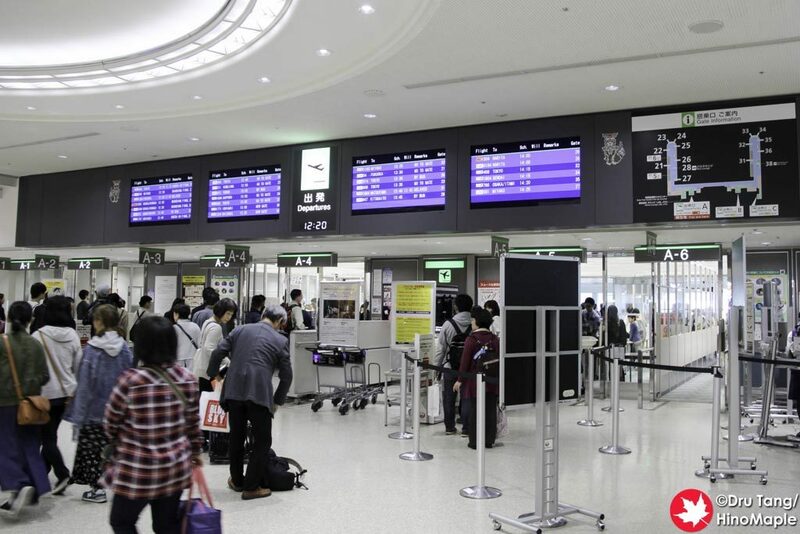 It appeared as if people would be waiting a good 30 minutes or so just to check their bags for JAL and ANA but as I rarely fly domestically with more than a carry-on, it was not necessary for me to worry about checking-in. The check-in counters are located on the 3rd floor and there are some nice quick food restaurants there too. In the centre of the terminal are the restaurants. If you are looking for quick eats, such as A&W, you can get them on the 3rd floor, but if you have a bit more time the 4th floor has more seating options. There is also an observation deck on the 3rd floor but you have to pay 100 yen to enter them and I wasn’t willing to pay for it. The observation deck looked a bit small and the views didn’t seem to be worth it from the Google Maps satellite photos. If you want to do a little plane spotting you can do it from the 4th floor as there are nice big windows in the middle of the building and you can enjoy quite a lot from inside. The 2nd floor is for departures. If you have no bags to check-in you can go directly from the monorail and right to your flight. The central area of the 2nd floor has your typical souvenir shops. 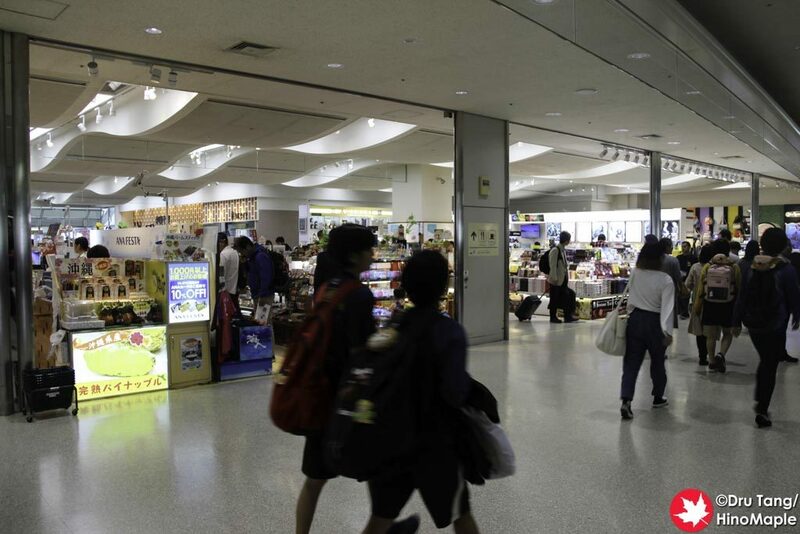 Every type of Okinawan souvenir can be found on the second floor. The central area has the biggest shopping area along with a waiting plaza. I wasn’t really interested in the shopping as my bag was feeling a bit heavy but I did browse the area quickly. If you are looking to get some nourishment for the flight you are in luck. There are 2 convenience stores on the 2nd floor. Lawson’s is located in the north and Family Mart in the south. Both are stocked with everything you could need at typical convenient store prices. 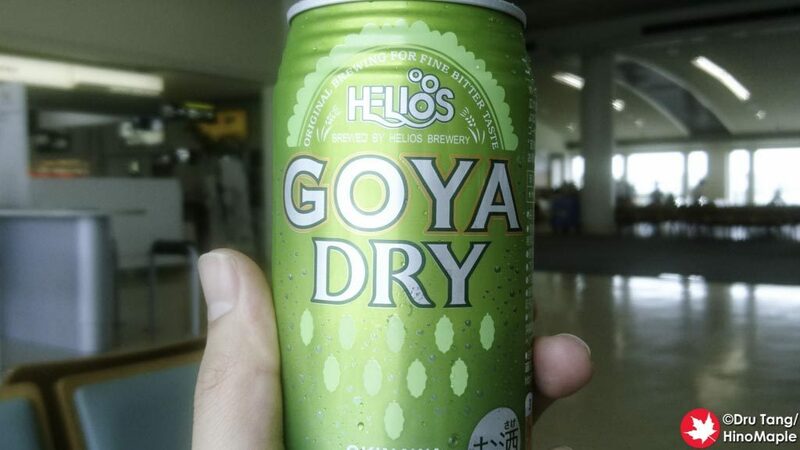 For things like drinks and standard snacks, the convenience stores are cheaper than the official souvenir shops, so I was happy to get my Helios beer at Family Mart rather than the JAL shop. The 1st floor is for arrivals. It is pretty standard that you disembark from your flight, head down to the baggage claim area, and then off you go. Since I was taking public transit, I had to head up to the second floor and cross the street to the Yui Rail station. It isn’t far and only takes a few minutes. 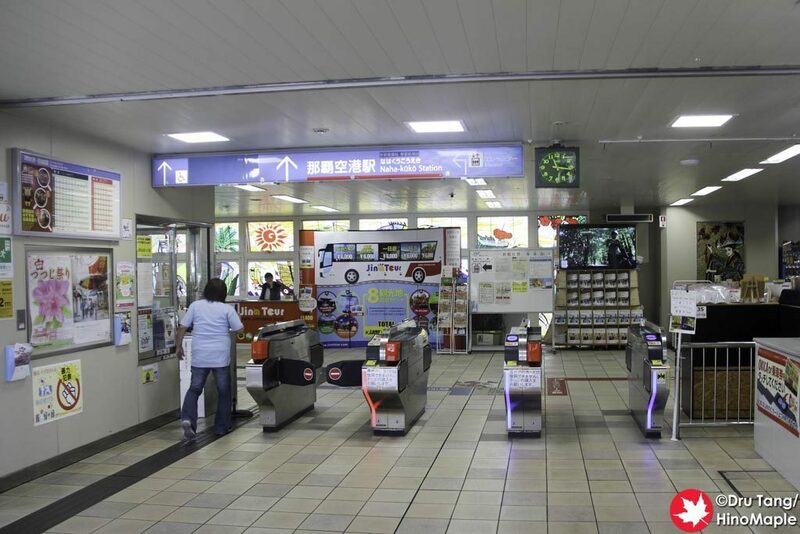 It can be hard to get a ticket for the monorail as tourists are always figuring out how to buy tickets, but if you know how to use ticket terminals in most of Japan, it shouldn’t be hard to figure out. I never ventured to the LCC terminal at Naha Airport and I hope I never have to go there. The LCC terminal is located 5-10 minutes by bus from the main terminal. Peach and Vanilla Air are the only companies using that terminal for both domestic and international flights. If you are using their flights be sure to bring your patience cap as you will be in a long line to get to the main domestic terminal. 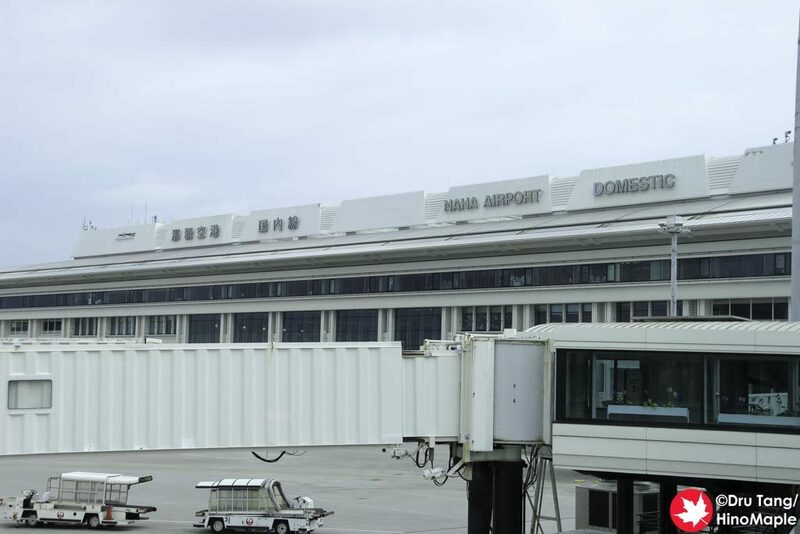 Naha Airport’s official website even calls it the “isolated terminal” as they use a converted cargo terminal as the passenger terminal and it is located at the northern edge of the airport. A friend of mine who arrived at the peak travel time said it took him about 45 minutes to catch a bus after landing. 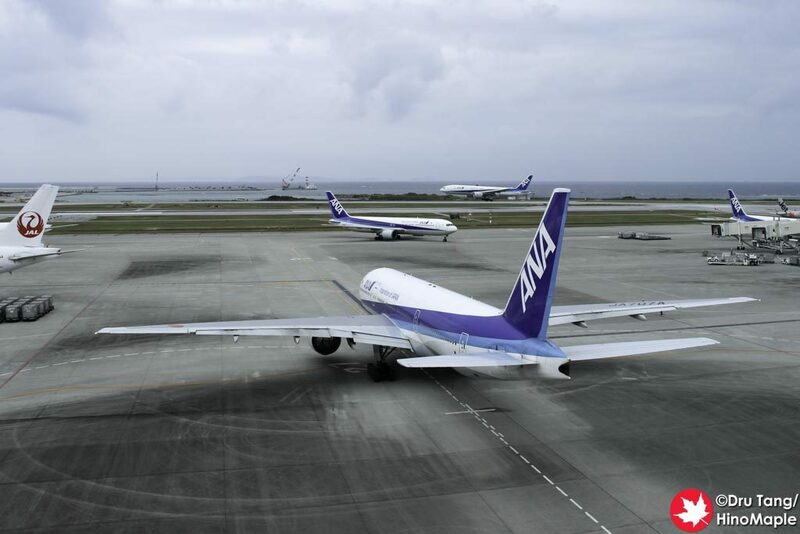 Naha Airport is a pretty standard airport in Japan. There is nothing there to really make me want to visit it early. In the future, I will probably stay in central Naha as late as possible but there are some nice things at the airport that can keep you busy. The public area is nice and the secure boarding area is bright and airy. There really isn’t anything special about the airport but you definitely won’t be bored. This entry was posted in Okinawa, Planes and tagged ANA, JAL, japan, Jetstar, Naha, Naha Airport, Okinawa, Okinawa Airport, Okinawa Naha Airport, Peach, Skymark, Solaseed Air, Vanilla Air by Dru. Bookmark the permalink.